Couple weeks ago I was thinking about Blut Aus Nord, when they released their twelfth full length album titled "Deus Salutis Meæ" translated from Latin means "God of my Salvation", I want to make it clear that I am not a die hard follower of this french band, however in the beginning of 1997 one of my friends hand me a copy of their album debut "Ultima Thulée" Yes! I know it wasn't released in 1997, it was released in January 1995, but it was the nineties where underground still underground, it took us more time than today's to find out a new band, my point is; has already passed over twenty two years since their first released and there is plenty of material to elaborate a retrospective to appreciate their up's and downs, being the trilogy of "Memoria Vatusta" in my humble opinion the most representative part of their career. 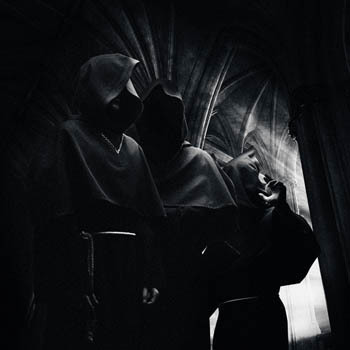 "Deus Salutis Meæ" delivers a subtle intro called "Dêmiourgos" a tenebrous passage to the Blut Aus Nord world, followed by one of the most bizarre and gloomy tracks in this album "Chorea Macchabeorum" with sickening tremolo picked riffage, certainly set the ambiance for this album, "Impius" is perfectly chaotic crafted, it's fast with repulsive churning riff while the synths play an essential role to transgress your mental state, "Gnosis" works as a little preamble for what's coming at you "Apostasis" from the beginning is crushing and filthy with a more traditional Black metal blast-beat, "Abisme" comes with a different approach mixing doom and sludge riff which is something worthy to listen from this band, "Revelatio" is unsettling the cavernous vocals will deliver the goosebumps, as you entering into the gates of hell, "Ex Tenebrae Lucis" should be the closing track with such malignancy within the musical structure without any doubt complements this subliminal experience. 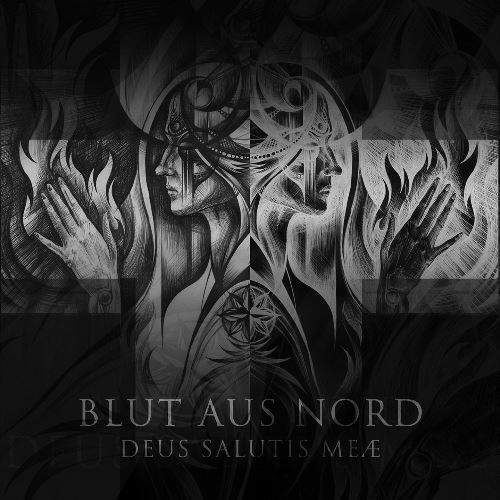 Blut Aus Nord has proven once again being the most notorious extreme metal band from France, with their singular and sinister vibe won't disappoint to any connoisseur of the genre, the only tragedy that falls upon this album is the length, leaving you wanting for more, but if that is your case, simply go ahead and listen their most respectful trilogy, I certainly recommend it.